Easter weekend can mean many different things to many different people – but one fun activity that everyone can enjoy is a Sunday morning Easter egg hunt! Whether it’s for the children or the whole family, here are some fun ways to add a touch of flair and excitement to your scavenger hunt. The first place your eyes are drawn to in a Easter egg hunt is the ground, but who says they’ll be hidden there? Tying your Easter eggs in brightly coloured tissue paper and stringing them to low branches is a fantastic way to add some excitement to the search, and add a spray of colour to your yard for Easter. Make the first treasure they find a special Easter egg hunting hat! 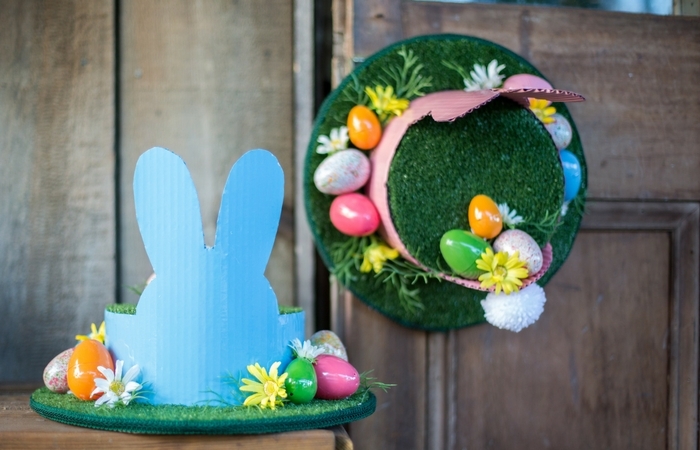 This can be handmade in the lead up to Easter as a fun crafternoon activity for the kids, or bought in the Easter section of many supermarkets and department stores. Place it near their bed with an invitation and a special hunting basket and start their morning off with a flash of excitement. Create a trail of Easter Bunny footprints for the kids to follow – either directly from their bed to various clusters of eggs or as little hints for extra-tricky hiding places. They can be stuck to floorboards or trailed around the yard. If you’re feeling extra creative, try mixing some flour and glitter to make magic-dust footprints! Using paddle-pop sticks or kebab skewers, stake the Easter eggs into the lawn or garden beds amongst the plants, to make it seem as they are growing out of the earth. It will give the Easter egg hunt a more magical atmosphere, provide some extra-tricky hiding opportunities and will look lovely and bright against the natural foliage. 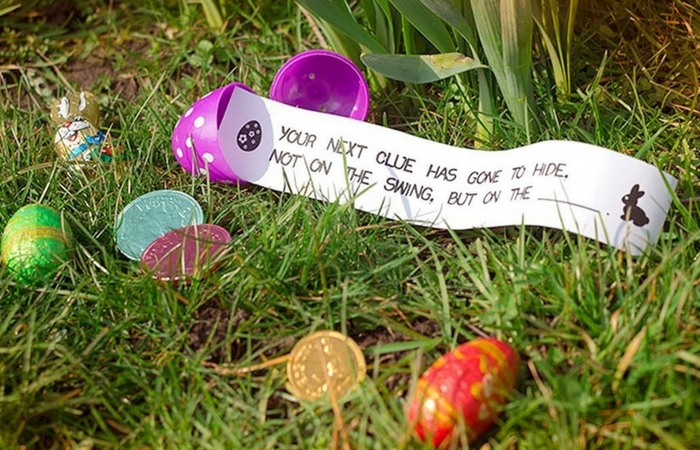 If your Easter egg hunters are a bit older, create fun riddles as clues to where each egg is hidden. You could present them all at once as a little booklet, or place a clue with each egg, so that each find will lead them to another! Arrre you looking to add a sense of adventure to your Ester egg hunt? An old-fashioned treasure hunt map can recreate features of your backyard into mapped landmarks. That kennel for the family dog? Turn it into a monster’s cave! Have a water feature? Now it’s a waterfall! Use your imagination with your maps – your Easter egg hunters will love it. Use teabags or coffee for an antique touch! To add a mischievous element to the hunt, mix chocolate eggs with fake ones! You can buy plastic, hollow eggs to fill with confetti or prank notes, paint a bright pattern on rocks from the garden, or eat some chocolate eggs and save the foil wrappers to wrap small pebbles in, to make it looks like real eggs. On each Easter egg, write a letter of the alphabet. Then get the kids to lay them out in alphabetical order and see which letters they still need to find! It’s a wonderful way to keep the search interesting and easy to keep track of where each letter is hidden by writing a list of where each letter is hidden, in case the hunters need a hint! Merge the thrill of an Easter egg hunt with the clumsiness of a three-legged race for some extra laughs! Use strips of soft, fun material to bind the right and left leg of two different hunters and watch them figure out how to work as a team or stumble in a heap – just make sure there’s some soft lawn for them to fall on. Add a competitive edge to the hunt by having two or three teams. 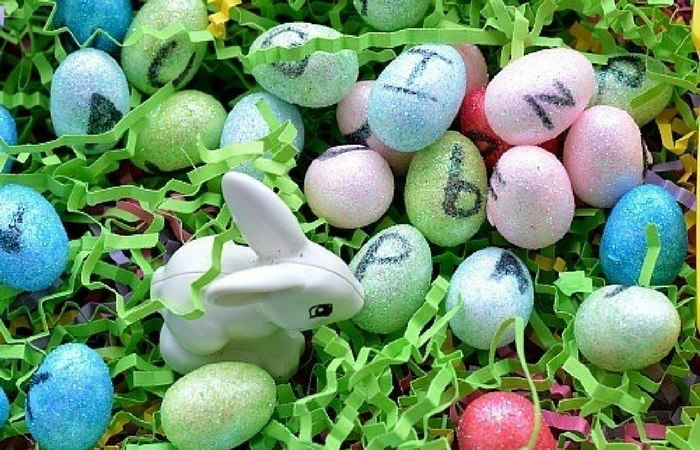 Perhaps each team could have a minute each until all the eggs are found, or simply a fast-paced free-for-all where the teams count their total findings at the end. Plan a prize for the winning team – like a giant, golden Easter egg – or a penalty for the losing team – like having to unwrap all the winner’s eggs for them. 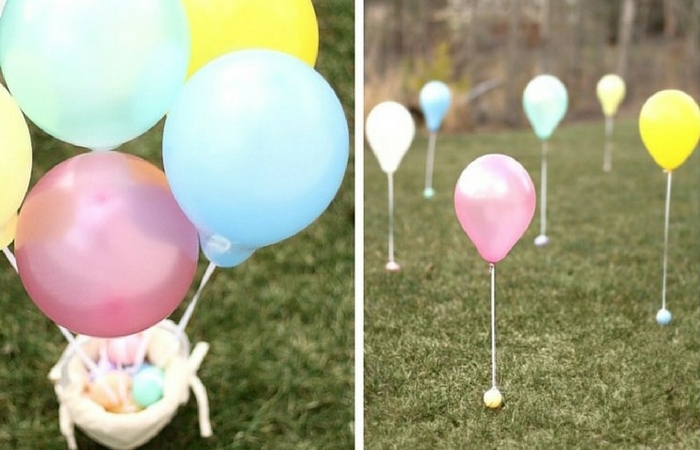 Balloons are a festive decoration for all occasions, so why not on Easter? To make it easier for younger hunters, tie helium balloons around hiding spots as a fun guide. Or for older hunters, use the helium balloons as fun ways to write clues and riddles! To make the hunting game fair for every player, hide an even number of different coloured eggs and assign a colour to each hunter. Perhaps players can pick a colour out of a hat, or find a coloured accessory to wear or bucket to use at the foot of their bed when they wake up. Get creative with it! Blindman’s Bluff, Murder in the Dark, Pin the Tail on the Donkey – all these games include one crucial element: blindfolds! Spread the Easter eggs in an open space and watch the hunters try to feel around to find the eggs. Or merge with the colour-coding idea and have each hunter have a number of specific eggs to find, with a partner on the sidelines using the “hot or cold” system to guide them to the eggs. If your yard space is limited, or if wet weather is threatening to dampen your plans, a piñata is a fun alternative to the traditional scavenger hunt. Fill a piñata with Easter eggs and let each blindfolded player have 5-10 seconds with the bat, ensuring everyone gets a turn. Then, when the piñata breaks and the eggs are loose, the blindfolded players scramble to collect as many eggs as they can, as above. Another twist on a traditional party game is the Easter egg pass-the-parcel. 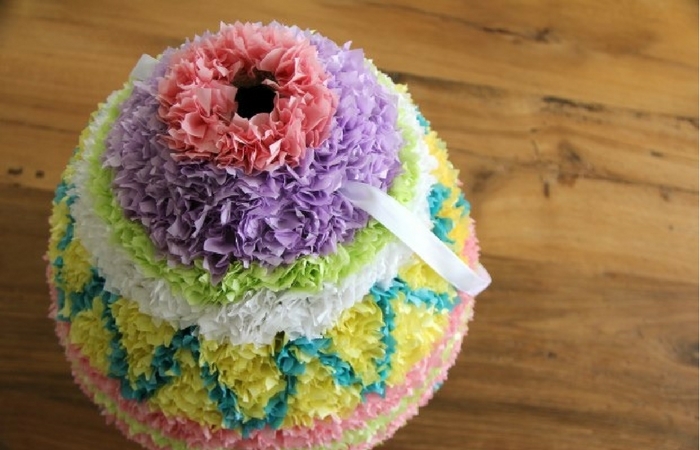 Mix chocolate eggs with other fun Easter treats – fuzzy chicks, party hats, gag eggs – and layer them in between fun Easter wrapping paper, or newspaper, with a giant egg in the middle. Gather your hunters in a circle, press play on your favourite party tune and let the games begin! For an added giggle, assign a dare to each layer. Looking like it’s going to be a hot Easter this year? Cool the kids down and put sprinklers next to the clusters of eggs – your little hunters will love having to brave the spray to capture their treasure! For a fresh Easter egg hunt idea, turn it into an archaeological dig! This is especially perfect for anyone who has a sandpit or play trough, but a blow-up pool, bucket or large container of any kind will suffice! Bury some foil-wrapped Easter eggs in dirt or sand and dampen with water, leaving it to dry overnight. 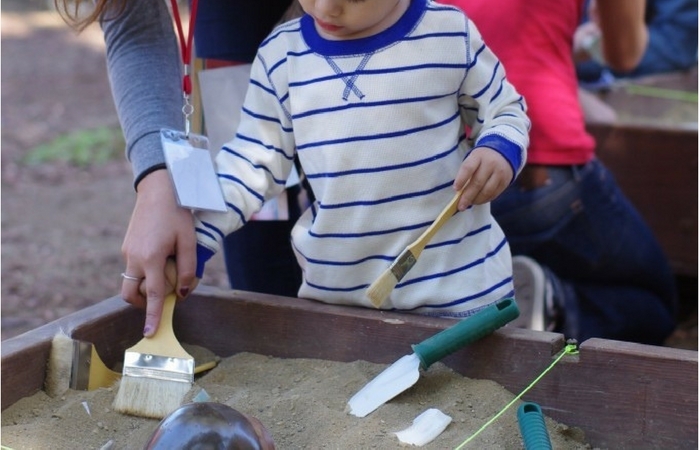 In the morning, equip your hunters with a brush and spoon as excavation tools, and let them get to work uncovering their delicious Easter fossils! A great fusion between messy play and a special treat. To make things a bit trickier, add a couple of chopsticks! It’s a fun way to develop fine motor skills and makes things a whole lot funnier for hunters and onlookers alike. Make your egg-hunters work for their treats with a gross motor obstacle course! Tunnels, ladders, balance beams, hula hoops and slides – or for a super simple course or maze, simply use crepe paper rolls to create a tangle that they have to squeeze, squirm, duck and crawl through! If building this maze for youngsters, try to stick to materials that will tear if fallen on or tangled in, such as crepe paper or masking tape, for safety reasons. 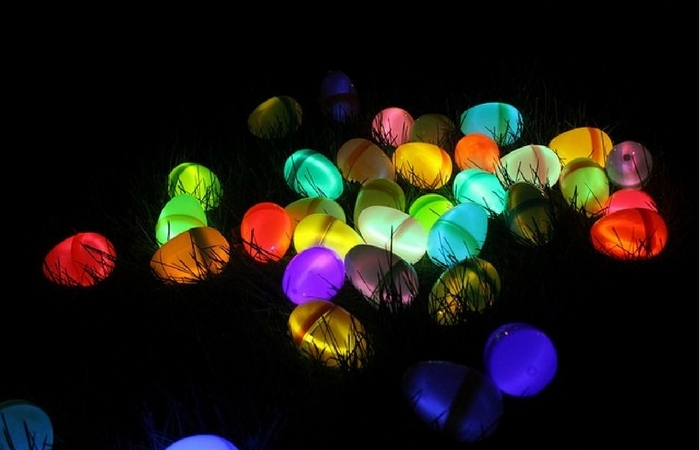 For a beautiful twist, plan your scavenger hunt at night and use glow in the dark plastic eggs to hide your treasures in! Or, for a DIY version, light the hiding place with a glow stick. Your backyard will transform into a magical Easter wonderland – and the hunters can collect their glow sticks around their wrists! These innovative ideas are only some of many ways to add a twist to a fun family tradition. Add personal touches or craft activities to any of these tips and tricks to tailor it to your taste. No matter which you choose, it’s sure to add a playful element to the festivities of the day. Happy hunting to all!